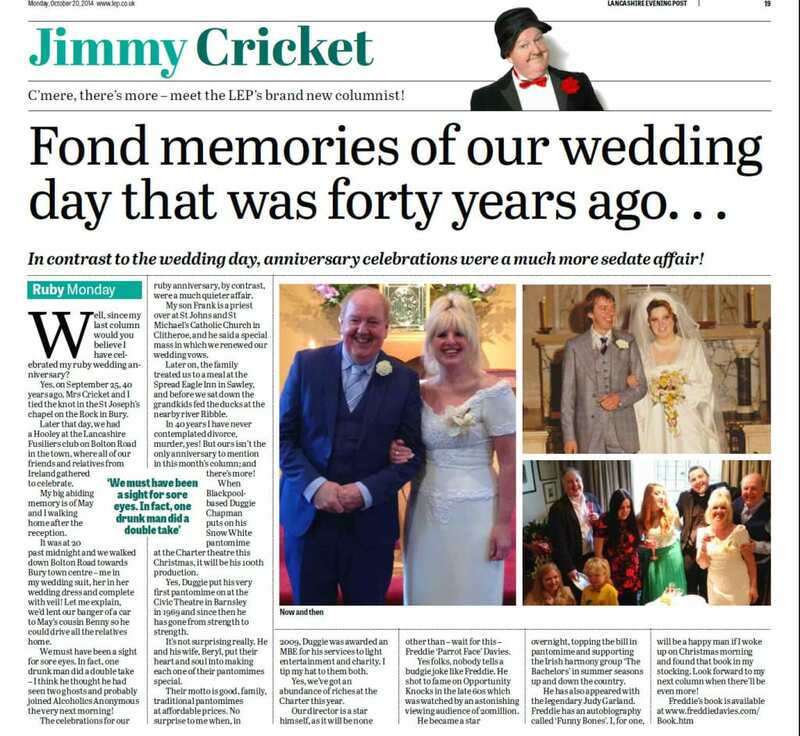 It was a family occasion in more ways than one when Jimmy Cricket and his wife May celebrated their ruby wedding anniversary recently. 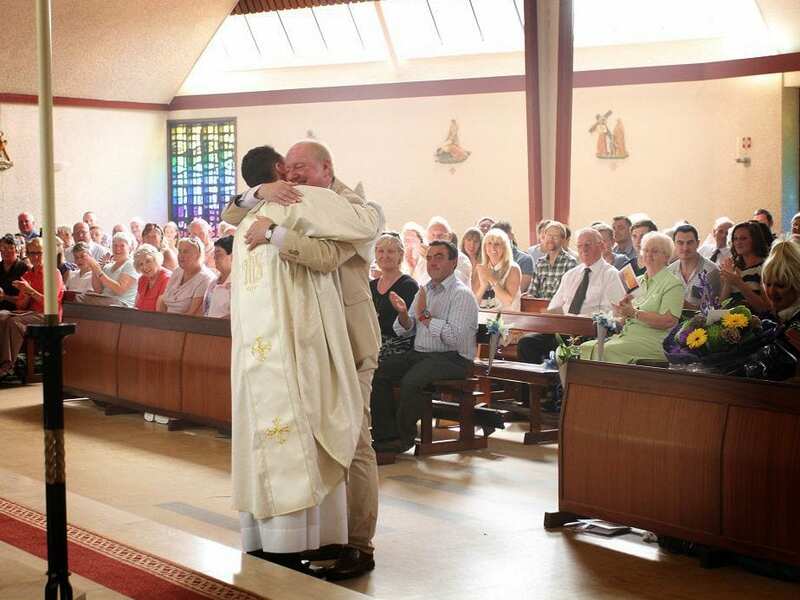 They got married at St Joseph’s Catholic church in Bury on 25 September 1974 (photo right) and, 40 years and three days later, they renewed their vows at St Mary’s, Sabden in East Lancashire (below left). 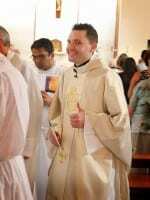 And the priest who took the Sabden service was none other than the couple’s younger son, Fr Frankie Mulgrew. 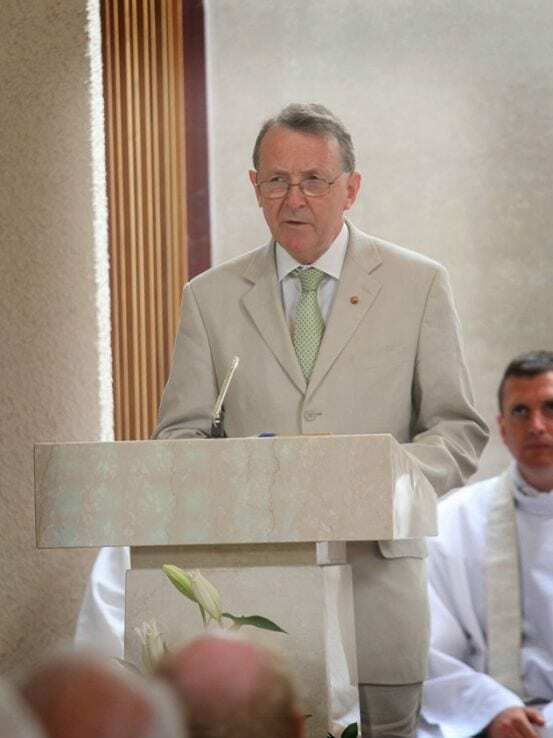 Close family (above) attended the service, which was followed by a special celebratory dinner at the nearby Spread Eagle Inn, Sawley in the Ribble Valley. 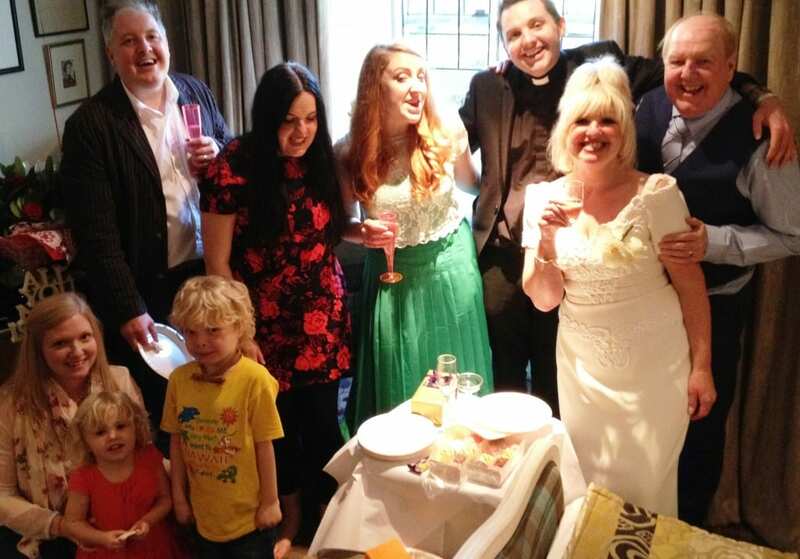 Joining both Jimmy and May for their special day of celebrations were all four of their children: Dale, Frankie, Jamie and Katie. Also present were daughter-in-law, Philippa, and son-in-law, Lee. Jimmy and May’s grandchildren made their presence known during the day as both Tristan and Lorelai participated in this joyous occasion. 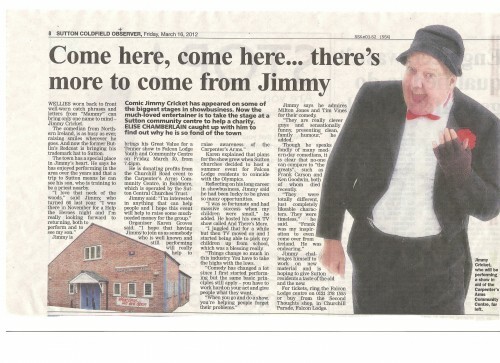 That write-up set the scene for famous comedian Jimmy Cricket’s show at the Ruskington Methodist Church in the village of Ruskington, just outside Sleaford in Lincolnshire, last Friday (16 November). An Evening With Jimmy Cricket was organised as an outreach event – such activities provide services to populations who might not otherwise have access to those opportunities – and was well attended. 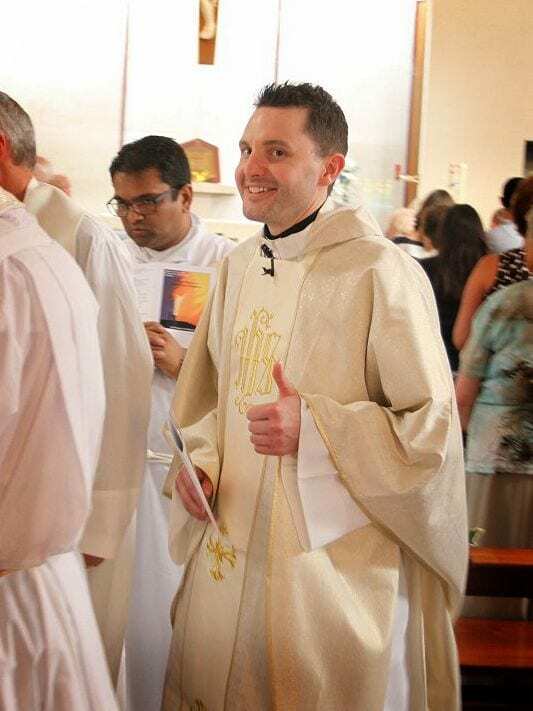 The Irish funnyman was joined on stage by his compere for such events, Chris Gidney, who runs his own production company called That’s Entertainment Productions. His company is involved in producing several pantomimes over the forthcoming Christmas season, including for the Medina Theatre in Newport on the Isle of Wight. 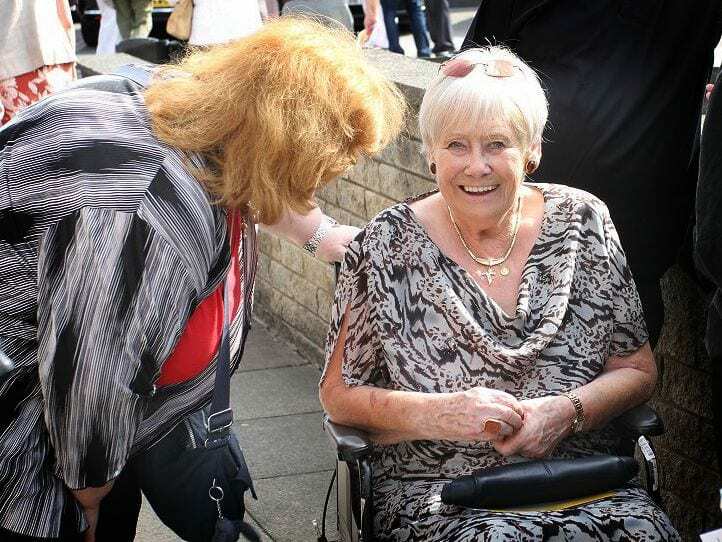 Jimmy said: “I would especially like to thank the organisers of the event – Bob Potter, Colin Porter and Roy Carter – who did a sterling job in making sure all the tickets were sold. Rochdale comedian Jimmy Cricket was joined on stage by a local councillor at a recent charity show. 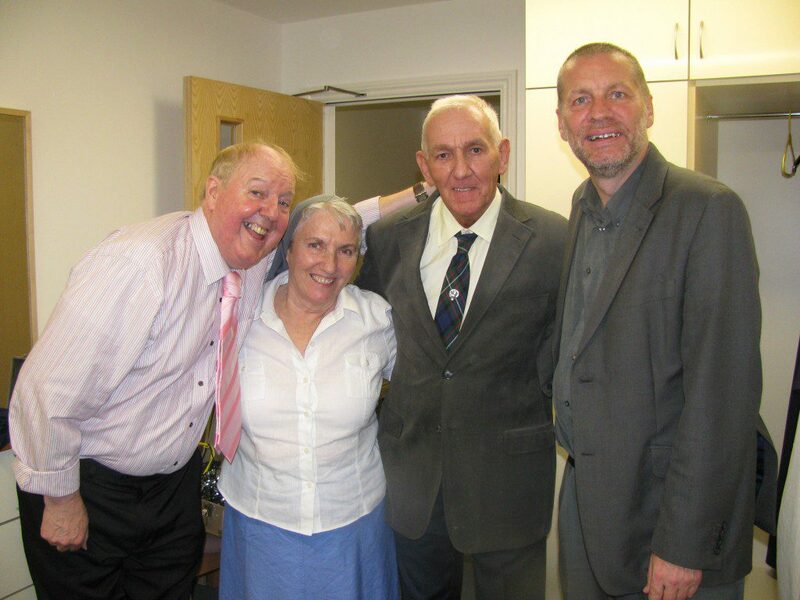 The Irish funnyman was performing at St Joseph’s Centre in Heywood to help raise money for the Roman Catholic parish. 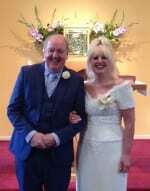 Counc Peter Rush, who represents the Heywood North ward and ran the town’s Albany Hotel on Rochdale Road East for a long time, went on stage to join Jimmy and his wife May and their good friend Eric Devereaux, a well-known singer on the North West entertainment scene. 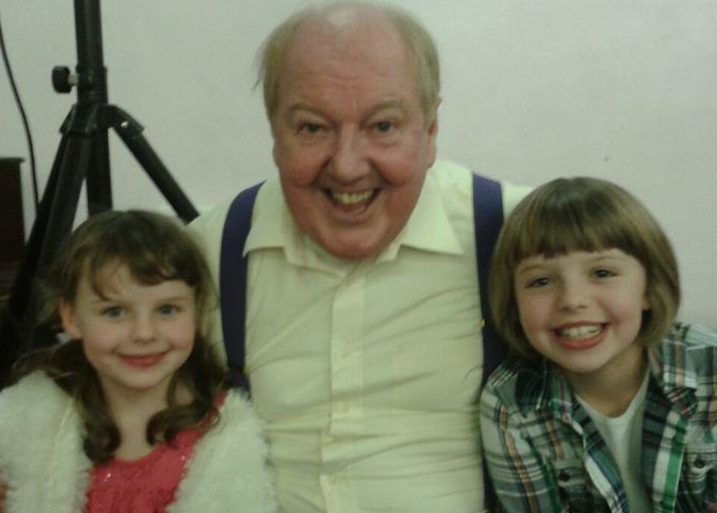 Jimmy also had his picture taken alongside sisters Katie and Rebecca who were in the audience. 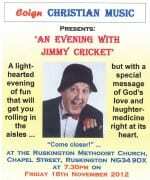 Jimmy Cricket’s fund-raising autumn tour of Roman Catholic parish centres included a church which doubles up as a social club. In addition to all his other charity work, the Irish comedian raises money for the Francis House Children’s Hospice with Jim Nicholas – who brings his Cliff’s Disco outfit along as support – alongside Jimmy’s wife May Marion, who adds some vocal sparkles. 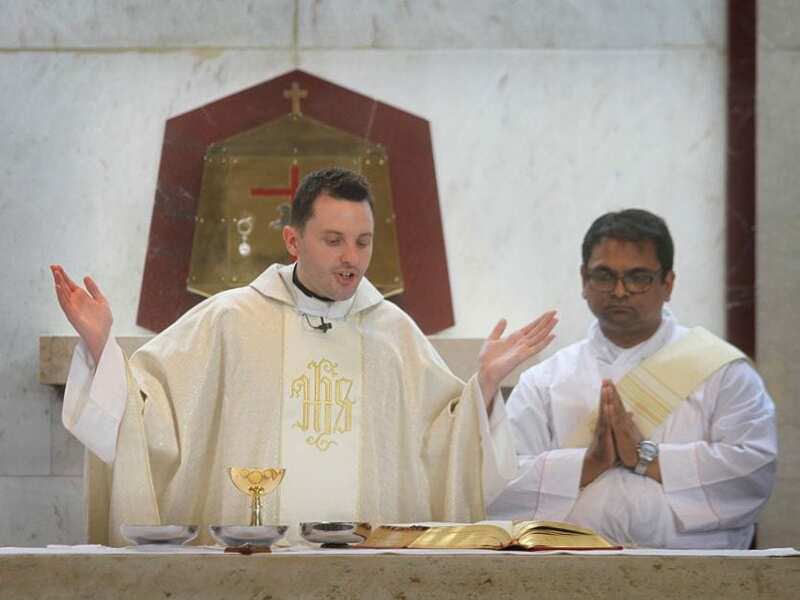 The tour featured the Blessed Cardinal Newman parish in Latchford, Warrington. 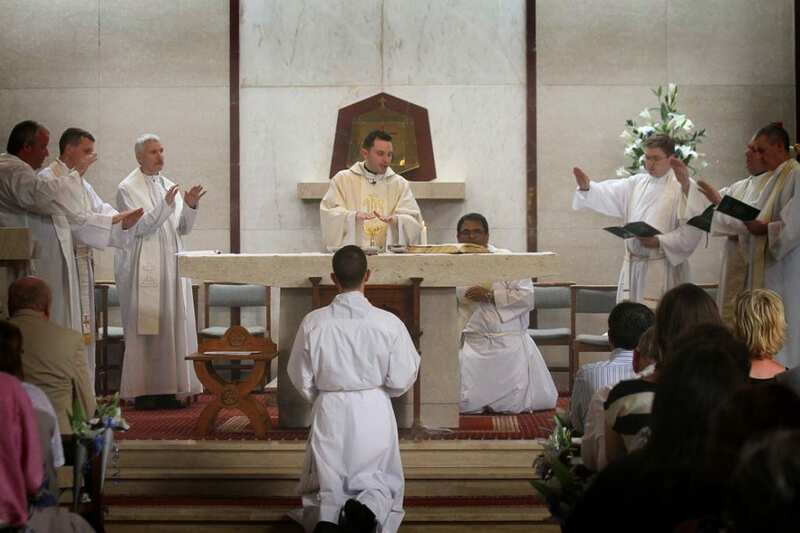 The event took place in the main church, which is also the main social centre when partitions are brought in to close off the altar. 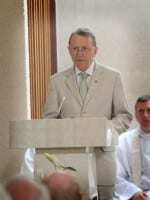 It was hugely successful and more than £2,000 was raised.